Some documents are constrained to repetitiveness by factors such as regulatory requirements, work type, site information, and intent. In such cases, it is permissible to develop standard language to maximize consistency and efficiency. In such instances, a special review of the standard language must be performed to verify that applicable regulations and requirements have been considered. Huh? I'm sure if I asked the author what he meant, he could explain it clearly to me. But by putting little forethought into his writing he ended up with something that was incomprehensible. It's one thing to do this in an internal document, but I commonly see this kind of writing in proposals, reports, letters, emails, and other communications with clients and other outside parties. That's hardly a good reputation builder! Think in terms of bullet points. 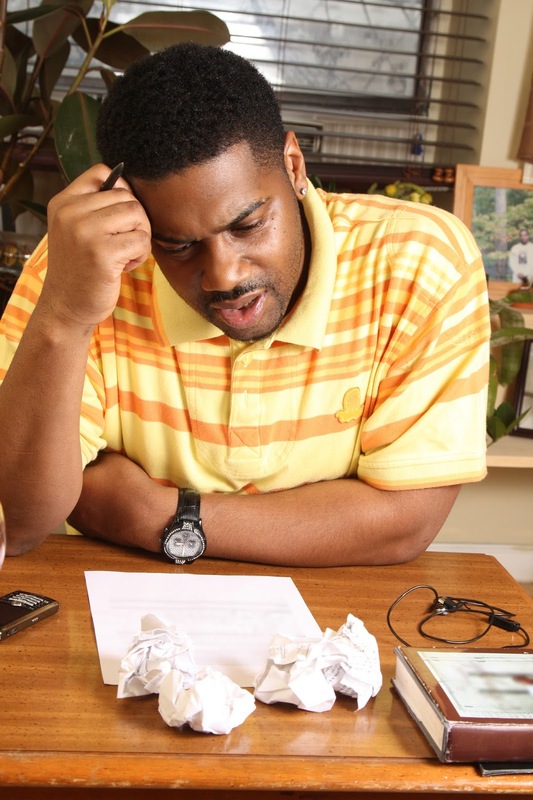 When you jump right into writing without a plan, there's a tendency to get too caught up in how you're saying it before you've really determined what to say. Have you ever spent an inordinate amount of time writing your first few paragraphs? I have—when I didn't plan first. At the start, don't think about sentences—and certainly not paragraphs—think in terms of bullet points. Build your detailed content outline (as described below) by listing short phrases like "slow air flow a concern" or "compressed schedule is key" before you write any sentences. First define your purpose. Power Writing is writing to achieve a specific desired result. That obviously means you must first define what it is you want to accomplish. Sounds simple enough, but identifying the purpose of writing assignments is surprisingly uncommon in A/E firms. It's important to be specific. For example: "The purpose of this report is to show that the extent of contamination at the site is considerably less than previously determined." Then determine your key messages. These are 3-5 points that need to be effectively communicated to accomplish your purpose. One exercise I recommend to help you distill your key messages is called the "two-minute drill." Imagine you had to verbally present the essence of your entire document in only two minutes. What would you say? What are the main points that you absolutely would need to make? 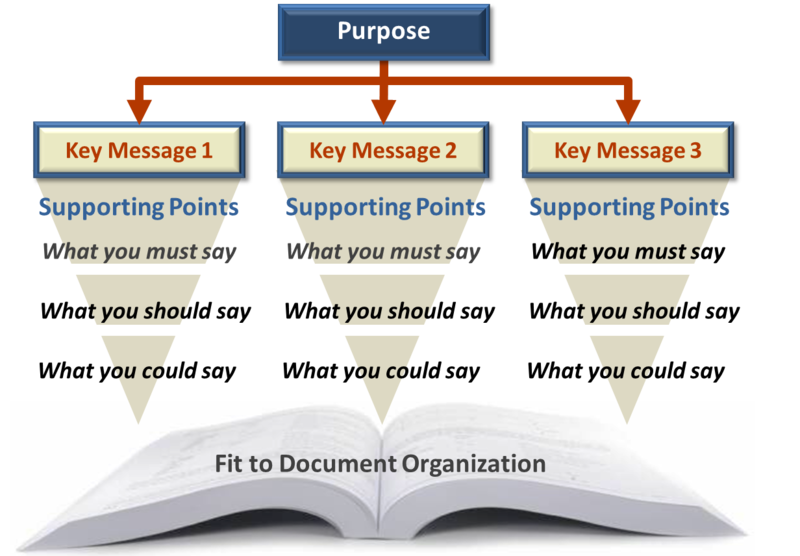 These are the key messages that should drive the content of your document. For each key message, list your supporting points. If one of your key messages, for example, is "save money on O&M through different design options," then what do you need to say to convincingly make your case? 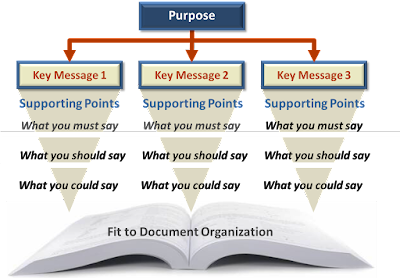 Your supporting points generally serve three primary functions: (1) describe (give clarity), (2) validate (give proof), and (3) illustrate (give examples). Technical professionals often over-describe, under-validate, and completely ignore providing illustrations. At this stage, though, don't worry about the quantity or balance of your supporting points; list everything you can think of. Organize your supporting points in descending order of importance. This applies the old journalistic standard of the "inverted pyramid." Why? Because most people don't read your documents word for word; they skim. So you want your most important information up front—in your document, chapters, paragraphs. Organizing your supporting points at this stage facilitates your use of the inverted pyramid when you're writing. Another benefit of organizing your supporting points is helping you pare down your content to no more than is needed. My suggestion is to place each supporting point under one of three headings: (1) what I must say, (2) what I should say, and (3) what I could say. Many (if not most) of the points falling in that last category are candidates for the cutting room floor. Fit your content outline to the document structure. To this point you've based your outline on importance rather than the flow of the document. Now you need to translate it into whatever document structure is necessary. This can be difficult, but without the planning steps above you'd be much more likely to omit or obscure your key messages. Beware of slavish devotion to a traditional document outline. You may determine that a reorganization is appropriate to feature your most important content. For example, I favor putting conclusions and recommendations—your most important information—at the front of a report rather than the traditional position in the back. Now you can start writing. Having built a detailed content outline and fitted it to your document structure, the writing comes much easier—and the result will be much better. By the way, this process is even more powerful for team writing assignments. Rather than the usual divide-and-conquer approach, get your team together to work through the above planning process. The collective brainstorming is much more likely to lead to a document that will get the results you want.